Two items for the ultimate in rfid protection, an Armadillo Dollar Original and the Dilly Card Folder, each sufficient in its own right for rfid protection. Give one away, or use it for your second wallet. 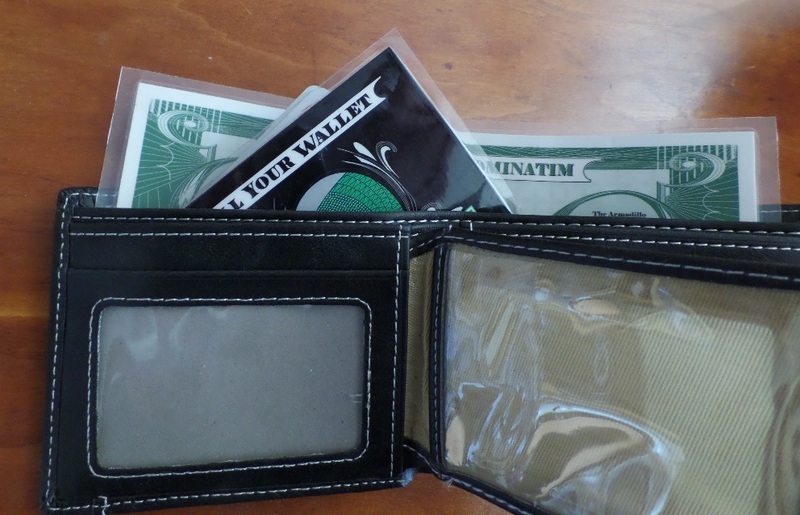 This image demonstrates how the Armadillo Dollars can be used to protect your rfid information in your wallet. 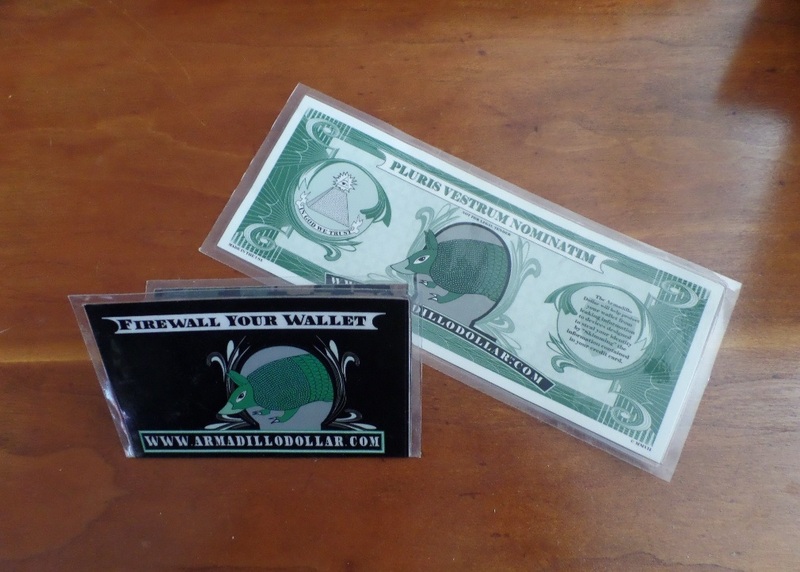 This order does not include the wallet, but does include one each of the Armadillo Dollar Original and the Armadillo Dollar Dilly Black Card Folder. (Wallet not included) These items can be used separately. Get both for $29.95, which includes Free Shipping.